You are here: Home / Action Alert / Congress just voted – now it’s OUR TURN! Congress just voted – now it’s OUR TURN! Earlier today, the House of Representatives passed the ADA Education and Reform Act (HR 620) by a 225-192 vote. We are extremely disappointed and downright angry to see this blatant attack on the civil rights of people with disabilities to access places of public accommodation and now look to our allies in the Senate to prevent a companion bill from passing. We are grateful to all of you who called, tweeted, emailed, and met with your Members of Congress over the past few weeks to advocate against this bill and hope we can count on you again when this fight moves to the Senate. AAPD will continue our advocacy alongside you and our allies to protect the Americans with Disabilities Act and the rights of people with disabilities. The surest way to protect our rights is to vote! With the 2018 midterm election coming up on November 6, now is the time to make sure that every candidate is concerned about the rights of people with disabilities. Join AAPD’s REV UP Campaign to get more people with disabilities registered to vote, educated, and engaged in the political process. 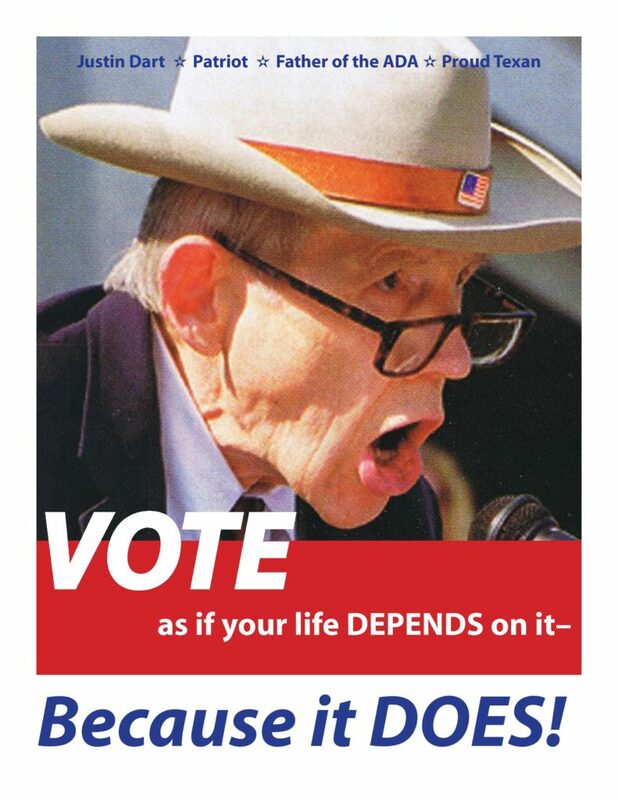 Visit www.aapd.com/REVUP for voter registration, education, and engagement resources. We’re organizing a network of REV UP State Disability Voting Coalitions – contact programs@aapd.com to launch a coalition in your state or get connected with advocates already organizing in your state. Let’s make the disability vote count in 2018! Source: Congress just voted – now it’s OUR TURN to vote!